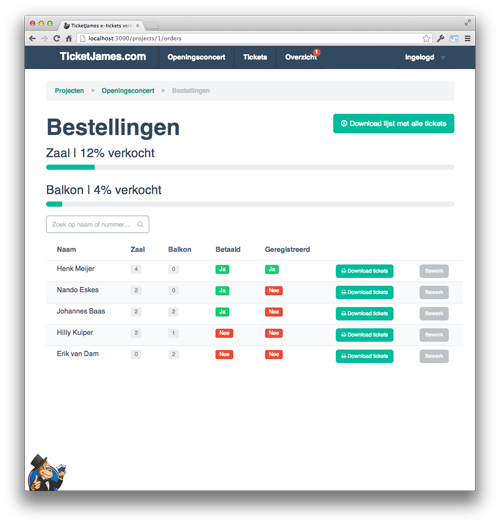 TicketJames believes in simplicity. In doing one thing, and doing that thing perfectly. 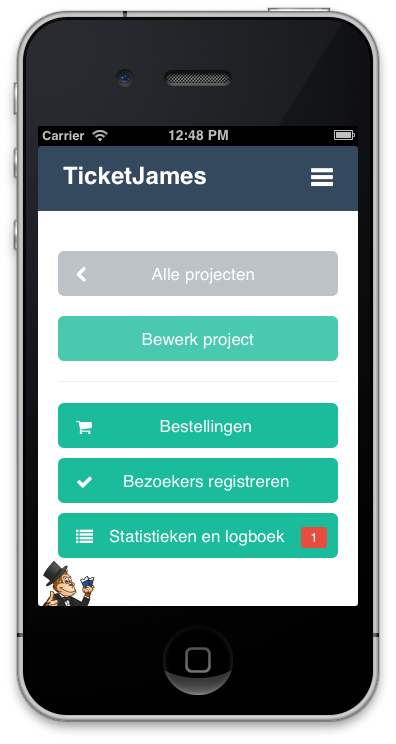 You manage your event: marketing, customer care, money. Let us take care of the tickets. 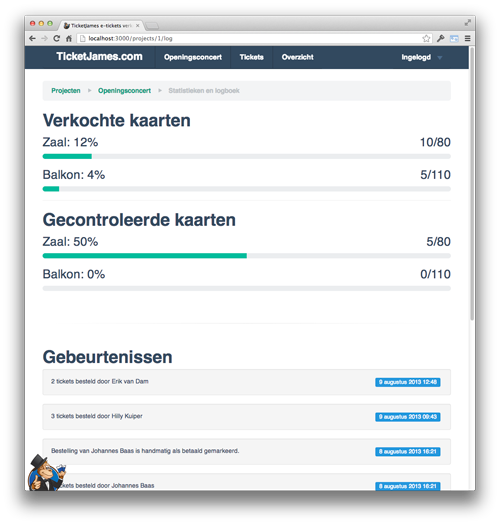 TicketJames works very easy and is friendly on your budget too. We only charge EUR 1,- per sold ticket. Being in charge, means you're in charge of the prices and numbers too. 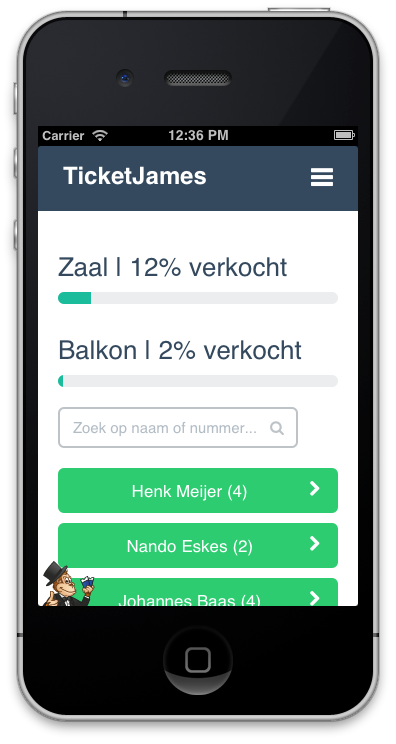 Wether you're organizing a play, a sporting event or a big concert: TicketJames helpt met de tickets. 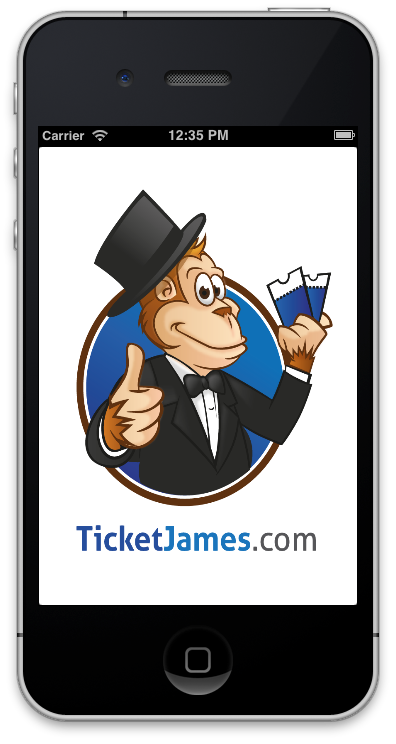 TicketJames works perfect on smartphones and tablets. This way, you're always in control. 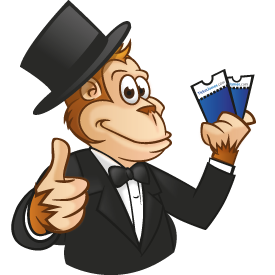 Make it very easy for your audience to order your tickets: just paste the HTML code from the order form on your website and we take care of the rest. 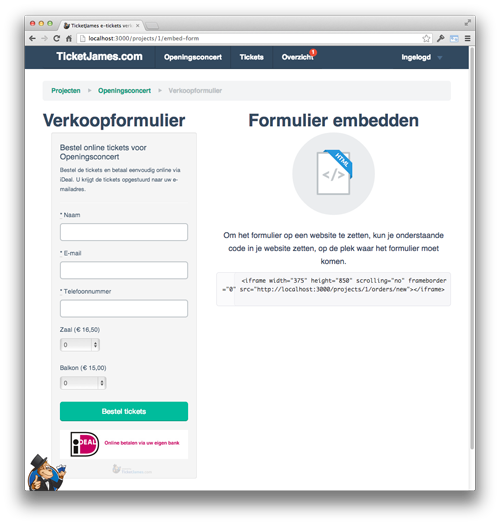 After the payment succeeded, the e-tickets are sent to the client. You'll receive notification of this. 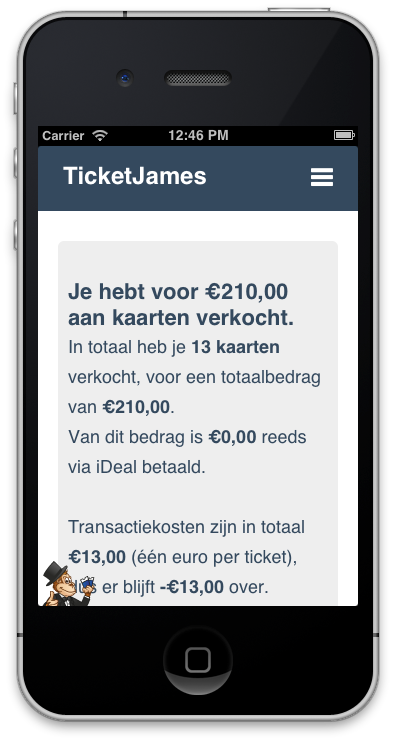 Of course it is always possible to reserve tickets manually and mark them as paid. Hundreds of visitors are at your doorstep, eager to enter your event? No problem! 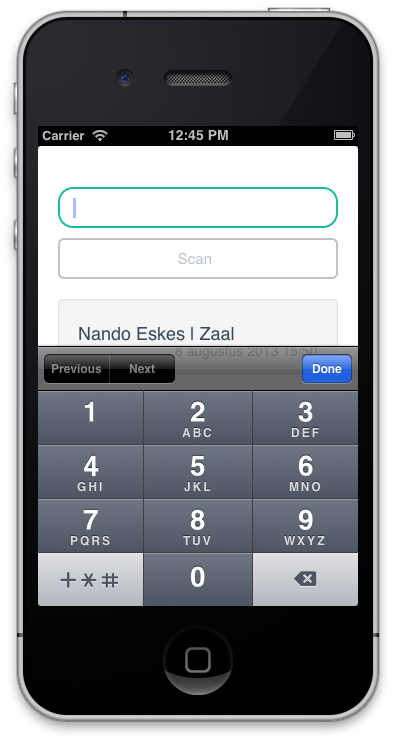 By using a barcode scanner, you'll register incoming visitors in no time. The screen blinks green: a valid ticket. Orange: this person hasn't paid yet. Another great way of checking tickets, is using your webcam. Just hold the printed e-ticket in front of your computer and *BEEP*, the QR code gets scanned and the screen will blink either green, orange or red.